Washington Street’s Whiskey Bar proves if nothing else that despite some massive overhauls around the neighborhood, there’s still some old school left in Hoboken. Perhaps best known for its stacked lineups of live music featuring some of New Jersey’s most talented cover bands, it’s an intimate throwback of a bar, reminiscent of a 1980’s Garden State haunt. 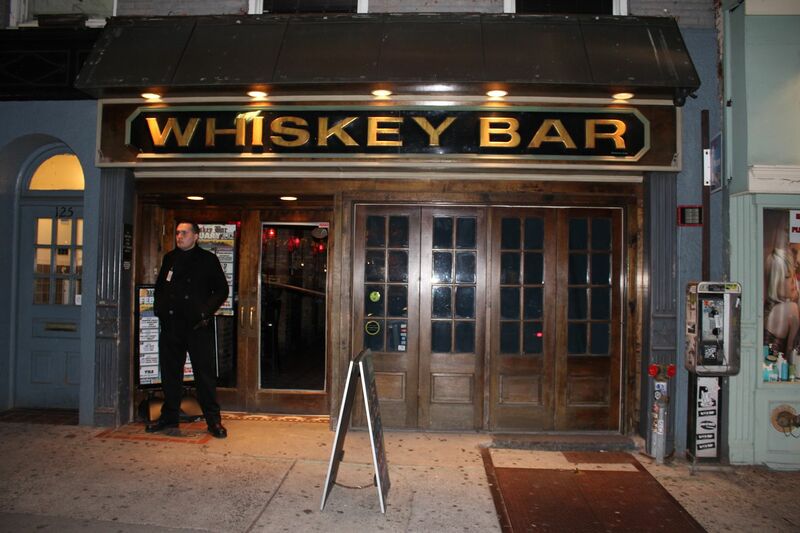 Decked out with some passé tiling on the floor and outdated wall paneling, Whiskey Bar is as upfront as any bar in the borough: come here for cheap drinks and live music. Stopping by for happy hour on a Thursday after work proved an interesting scene. Myself and a buddy entered to find that we were the only people inside, save for members of the night’s first band, set to take the stage a few hours away. But with the Knicks on all 4 tv screens and some music playing, it was perfectly suited to what we were looking for- catching up over a few pints. The Thursday specials were $2 domestic draughts (PBR in the house) and $4 Pinnacle Vodka drinks, both of which were more than reasonable. Glancing around at the empty bar and having been here before, I thought back to what a fun place Whiskey Bar could be- packed with the energetic young crowd that the neighborhood embodies, except everyone inside is a lover of rock. 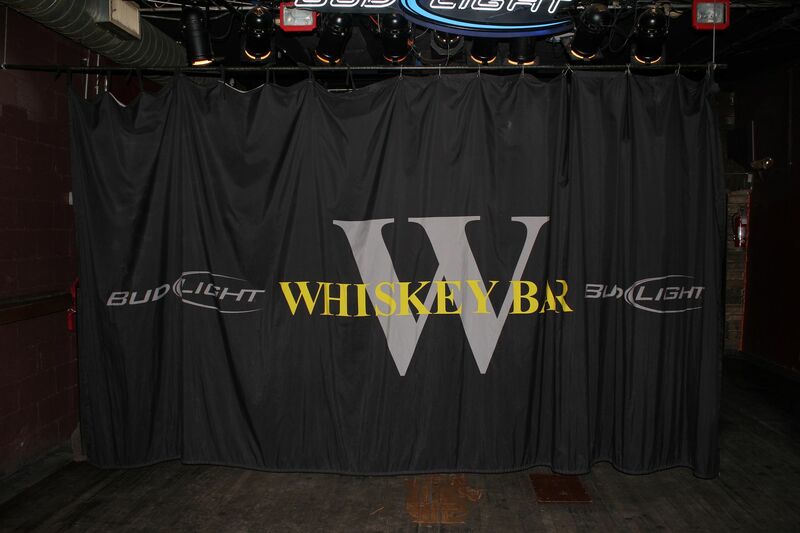 I looked down at the distressed wooden floor which serves as the standing room area for each live show and thought about how although Maxwell’s is the Sixth Borough’s most well known live rock bar, Whiskey Bar is perhaps its best. 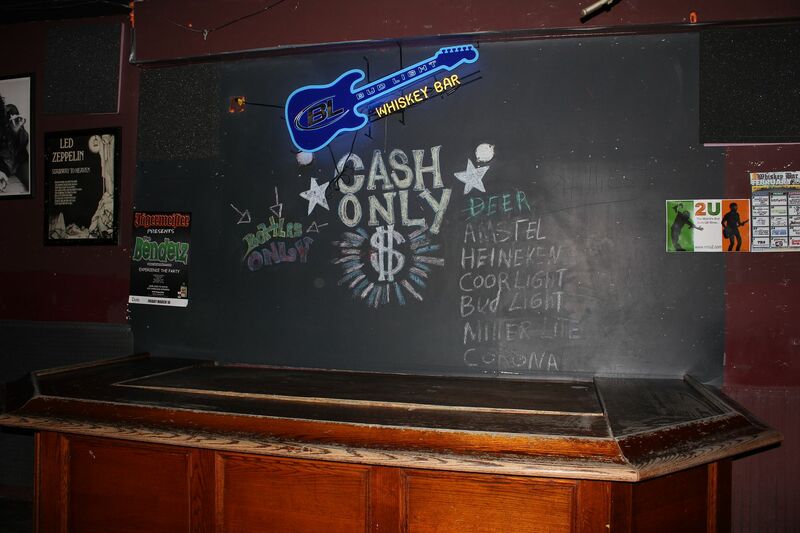 From the linoleum bar stools to the old fashioned bathroom, which could use a bit of a facelift, and a cash only secondary bar in the back, Whiskey Bar is a place that simply screams New Jersey. And that’s not such a bad thing. Preconceived notion – It’s been a few years since I’ve been to Whiskey Bar, but it’s surprisingly still exactly as I remember it. A place with good values and live music, although the time I arrived wasn’t necessarily ideal for people watching. Bar Type – Hoboken’s second best well known live rock bar. Crowd stereotype – Tough to say since we were the only ones in there. Normally an eclectic group based on the agelessness of the music played. There’ll usually be some gray haired types scattered about, but the crowd here skews younger typically. Music – The music was likely from someone’s iPod. There was some Coldplay playing to an empty bar. Value – As is the Hoboken custom, drinks are cheap and you can often get nice and bombed for under $20. That’s the case here for sure. Date – Look, if you read this space every week, hear me out. Take your dates to date places and stop looking for an excuse to get touchy feely in front of a GNR cover band. Hookup – On the other hand, live music makes a lot of people do a lot of crazy things. Just tell her you play guitar. Dance – Not in the traditional sense, but once the band comes on, for sure. Catch up with a friend – Definitely a decent spot before the first band hits the stage. First or last drink of the night – I’d prefer my last drink here; something that draws you to a live band. On the other hand, they’re likely to charge a cover with a band playing. Why don’t you try to convince me to pay a cover a 1am?